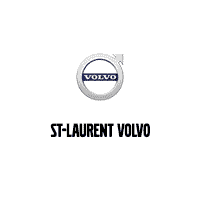 St-Laurent Volvo is located in Ottawa, Ontario and serves as your exclusive Ottawa East Volvo Dealer. St-Laurent Volvo is focused on ensuring all customers receive a premium Volvo experience. If you are shopping for a New Volvo in our show room you will find the Volvo Sales staff are courteous and professional. At St-Laurent Volvo we carry the full Volvo line up including the Volvo S60, Volvo S90, Volvo V60, Volvo V90, Volvo XC60 and Volvo XC90. If you do not find the new Volvo of your choice then St-Laurent Volvo also carries an extensive Volvo Pre owned inventory. Volvo Certified used cars offer a level of performance, quality, and comfort that Volvo drivers have come to expect. We are confident that our impressive new and used vehicle line-up will meet your needs. Please come into St-Laurent Volvo today to test drive a new or used Volvo. We would love to take you for a spin. Visit us by entering in your address below.